A full deck of tarot cards to colour in. 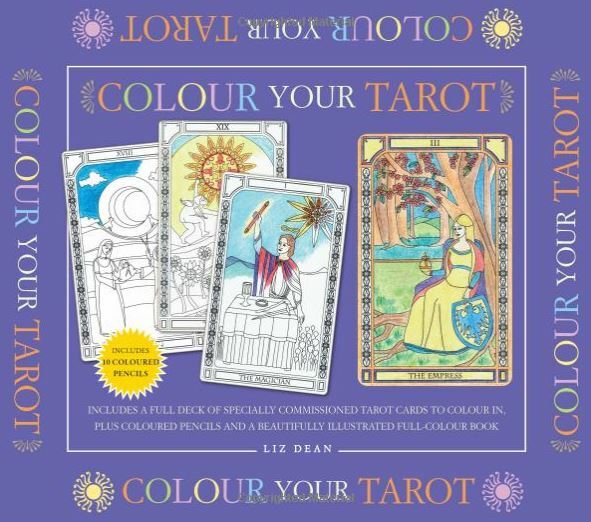 With coloured pencils and a companion book, this deck is designed to inspire creativity and take you into a mindful, relaxed state of awareness. Colouring will also help you connect more deeply with tarot’s ancient symbols as you create a deck that is unique to you.